I really need help here. 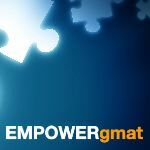 I wrote my first real GMAT yesterday and scored 470 (Q32 V 23). Meanwhile, I had scored 610 (Q 42 V 32) three days before the real test day on GMAT practice exam 2. So my issue is that, I was told GMAT prep practice exam is the best predictor of the real test ie give or take ± 30. How is it possible that I dropped by a whooping 140 points. I even wrote the practice test 1 two weeks earlier and I had 580. I completed Magoosh with 900 questions and OG'17 with 70% of the questions. I started this year Jan. Then in May last month, I used Economist GMAT about 42% complete. I did the practice tests full sitting: AWA and IR inclusive. My target score is 650 and my intended schools include Fisher-Ohio, SUNY buffalo, UC Boulder, NortheasternBoston. By the way, I wrote the practice exams at different locations ie at home and at my work place which is about two minutes walk from Pearson Vue center. I'm really sorry to hear about your GMAT experience. However, I would like to point out that test day management is an important part of taking an exam. Anxiety, nervousness and the whole gamut of destabilising emotions can play a big part in determining your final score. Another thing that I would like to point out is that doing too much in the week leading up to the exam can do more harm than good. It can cause "burn out", so try to take it a bit easy as you begin to approach the exam to keep a fresh mind. Other than this, you can only practice to improve your score! If you thought my response was helpful, please don't forget to hit the Kudos button. 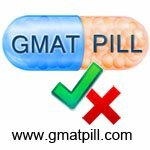 1) Did you take them at the same time of day as when you took your Official GMAT? 2) Did you ever do ANYTHING during your CATs that you couldn't do on Test Day (pause the CAT, skip sections, take longer breaks, etc.)? 3) Did you ever take a CAT more than once? Had you seen any of the questions BEFORE? 2. I took the practice exam 1 about 4 times and out of the 4 times that i took that CAT, i paused the exam just once which was on the 3rd time. The pause lasted almost 12 hours because i took the CAT in the evening so i paused it and resumed the next morning since i was too tired. I had a 470 on that test. My very 1st practice one score was a 310. The 4th time i took the practice one CAT, i had 580. As usual i discount those scores because i had seen some of the questions. 3. For practice exam 2, i scored 610 the very 1st time and took it 2nd time and i scored 670, as usual i don't mention it. then official gmat gives me 470. I'm really sorry but don't give it up!! I agree with the above guy. Don't give up. Try harder.. and harder... until you reach it..! As you prepare for the next test, try to pay special attention to the psychological aspects of the test. Before you take a practice test (such as the GMATPrep one or this one: http://www.gmatpill.com/gmat-practice-t ... ctice-test), try to visualize yourself as if you were in the Pearson center about to take the test. That visualization could help you prepare better mentally for what is to come. Don't over-exhaust yourself leading into the exam either. 1. I reviewed my last CAT three days to the test day. 2. I slept around 10 pm and woke up around 5am but with constant thoughts of the test. 4. Not really distractions but I was new to the process so got a bit tensed initially. I got over it quickly though. 5. Hmm, I unknowingly overspent my 1st break by almost 3 mins. Because of that, I didn't leave my seat during the 2nd break. 6. I managed to finish both sections. I would do just that. 1) What else did you do during the last 3 days before your GMAT (besides review your last CAT)? 2) Do you normally wake up at 5am (or were you having trouble sleeping, so you just got up?)? 3) What time was your Official GMAT - 8am? 9am? Since the drive to the Test Center was only 40 minutes, what else did you do in the several hours that you had that morning before your Exam started? 4) How many questions would you say that you had to guess on at the end of the Quant and Verbal sections? From this recent post, I assume that you might not have gotten a good night's sleep. In addition, the 'errors' that you made with both of your breaks (coming back late from the 1st break and not leaving the Computer Lab for your second break) would have likely impacted your performance in both the Quant and Verbal sections. Furthermore, if you had to rush through a significant number of questions at the end of the Quant and/or Verbal sections, then you could very well have gotten most (if not all) of those questions wrong - and that could have also cost you points. While we could refer to all of this as just "having a bad day", it also hints at the idea that you weren't properly preparing for Test Day when you took your CATs - and that could have led to unrealistic, 'inflated' practice score results. All of that having been said, you can now use this experience with the Official GMAT to better prepare for your next attempt. I too had a same problem..
2.Though i normally wake up at 5 am, i will agree with you that it was not a good night sleep. 4. i guessed on about 5 to 10 questions for both sections. i knew that would hurt me but not to the level that i got. When you say this "it also hints at the idea that you weren't properly preparing for Test Day when you took your CATs", may i know the best way to prepare for the official test next time? Properly preparing for Test Day involves more than just learning GMAT content - you have to factor in all of the little details that go into the lead-up to your Exam. For example, your Test was at 8:30am.... did you take your practice CATs at 8:30am? On Test Day, you got to the Test Facility 1.5 hours EARLY... when you took your practice CATs, did you arrive at an external location (not your home) 1.5 hours early and review flashcards before starting your CAT? That early arrival could have significantly 'thrown off' your performance. Many Test Takers do their best thinking in the first 4-5 hours of the day, so it makes sense to take your GMAT at an early time (when you are likely going to do your best work). Based on what you described, you spent 1.5 hours of that "best time" reviewing flashcards - and by the time your Official GMAT started, you had already been awake for 3.5 hours. By the time you would have gotten through the Essay, IR and first break, you would have been up for 5 hours already... and then you would have started the Quant section. You were likely already a bit tired before you even began the Quant section - so the 'errors' with your breaks along with the pacing problems (and having to guess on so many questions) would explain the score drop. Remember that there are only 78 total questions between the Quant and Verbal sections, so if you guessed on 10-20 of those questions because you were low on time, then you were clearly in some kind of trouble. Thankfully, you can now use all of this to better prepare for your next attempt - but you really have to put more thought and detail into how you take your CATs. In addition, you also have to consider how well you actually know the content of the Exam; a 470 implies that you made a lot of little mistakes throughout the Exam on Test Day. You are absolutely right. I saw my ESR and this is a portion of the Summary. "You completed 37 of the 37 questions in the Quantitative section. You responded correctly to 71% of the first set of questions, 57% of the second set of questions, 57% of the third set of questions and 0% of the final set of questions.."
My CR and most especially my RC need improvements. RC really killed me. Thank you all for your advice . I really appreciate them. Do you have a timing strategy in place now? If not, you might want to think about that before taking more practice tests. You should specify how you did in Quant vs. Verbal. Time and fatigue can be an issue but it won't mask fundamental weaknesses in either section. If you want to improve your score - focus on areas where the most amount of points can be earned as this is where you are the weakest and the GMAT tends to award a better score for a nice holistic score rather than just being really good in one area. CR and RC really need the same kind of mentality to get through. EmpowerGMAT had a nice thread on how to improve RC by a) improving reading speed and b) improving how much you absorb while reading. Be sure to check it out. Realistically, you should give yourself 2 months of daily practice to get ready for a 600/700 score.